We are looking for new members to join our TEAM Panel from January 2019. Birth of Blackfulla Performance Alliance 2015 from Australia Council for the Arts on Vimeo. Over the next two years or so we'll be evaluating our TEAM programme and we are looking for 10 TEAM members to work alongside our professional evaluator Gerri Moriarty (www.gerrimoriarty.com) to help us do this. We have a great opportunity for a TEAM member to join the production team on our forthcoming show The Gathering/Yr Helfa. An NTW Approach to Education? On our travels we’ve often worked closely with schools and colleges, from Danielle’s gang in Tonypandemonium to the pre-show for Love Steals Us From Loneliness. They’ve also provided performers for a number of our Assemblies and TEAM projects, and helped our Communications team come up with new marketing ideas. Up until now, it’s generally been part of a wider project, but we now want the focus to be solely on education. Step Change is a national programme for professionals seeking to progress/develop their careers in the performing arts. Providing coaching, mentoring, masterclasses and experience-based learning, Step Change supports those in need of a change of direction. For the past year our TEAM Panel has worked with the NTW staff team to guide and advise us on all aspects of the TEAM programme. They've helped create one of the most exciting models of engagement in the UK, but also contribute to all branches of NTW from programming to recruitment. They sit on our interview panels, represent us at shows, give presentations on our behalf and feedback regularly to our staff and board. We are looking for people to be part of our next show Praxis Makes Perfect. It could involve you being a Russian soldier, running a political stall or being taught a song by Gruff Rhys! You'll also get to work on a show which involves director Wils Wilson, playwright Tim Price and Gruff Rhys & Boom Bip of Neon Neon. 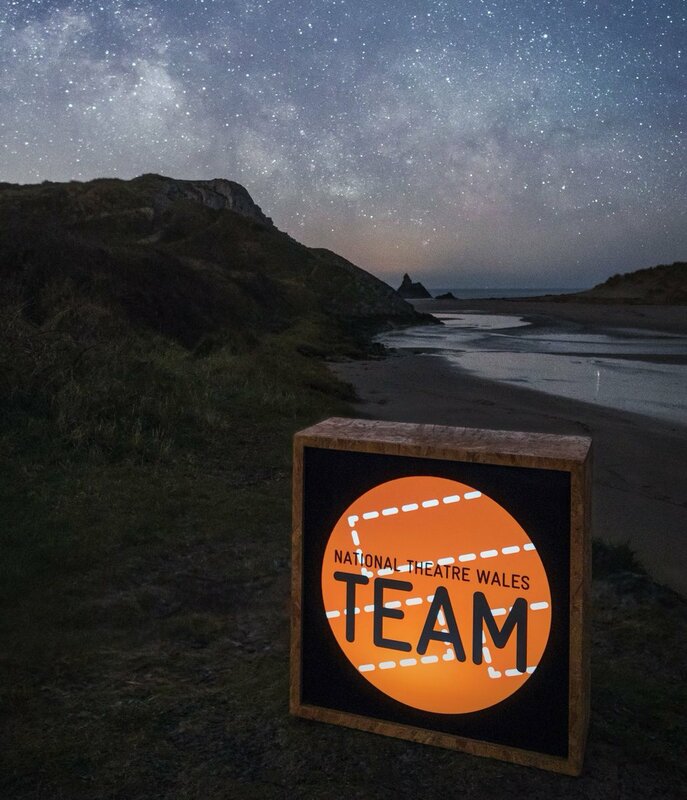 TEAM Wrap Party from National Theatre Wales on Vimeo. The Cardiff International Poetry Competition is now open and accepting entries. The first prize is £5,000, with £500 for second place, £250 for third plus five runners up will receive £50 each. The competition is accessible to all; it doesn’t matter if you are an established poet or just dabble with verse now and then. All entries to the competition will be judged anonymously, so this is a great opportunity to have your poetry judged on its own merits. The 4th Urban Dialogues exhibition at the Red Gallery, Shoreditch, London, 20th November – 1st December 2012, explores faith and belief in the UK today by bringing together work by contemporary artists from a broad range of backgrounds and perspectives. National Theatre Wales are looking for up to 10 individuals who will work with us to expand, improve and guide our TEAM programme. What kind of opportunities would you like NTW to offer you? Since our launch TEAM members have performed in our shows, made films, blogged, run workshops, started up their own projects, and told us their vision for NTW. We'd like you to be involved in every part of NTW, so what opportunities should we be offering? What would be the most useful? or what would be the most fun? Saturday is our final day #talkingshop We invite u all to come back in June to see the rehearsed readings & hear what we found out & what we would like to do next. Date & location to follow. We have planted a seed & need yr help it to make it grow. C u tomorrow?